Can you work out how many days there are in seven weeks? Is your answer forty-nine? Click on the images at the beginning of this post for more resources from the web. Clarify that the flame shapes in the story were safe; they were not hot and didn’t hurt anybody. Remind the children that they must not play near fires and never touch matches or lit candles. You will need: a cardboard box, toy figures, small flame shapes (see Printables), drinking straws, sticky tape, colouring pencils, scissors, a tea towel and cotton thread. 1. Colour in and cut out the small flames. Cut the cotton thread into 25 cm lengths. Use the sticky tape to stick flames to both ends of the cotton thread. Wrap the central part of the thread around a drinking straw so that the flames hang down and move about freely. 2. Make an ‘upper-room’ by placing the cardboard box on its side and arranging a folded tea towel on the ‘floor’. Stand the figures on the tea towel. 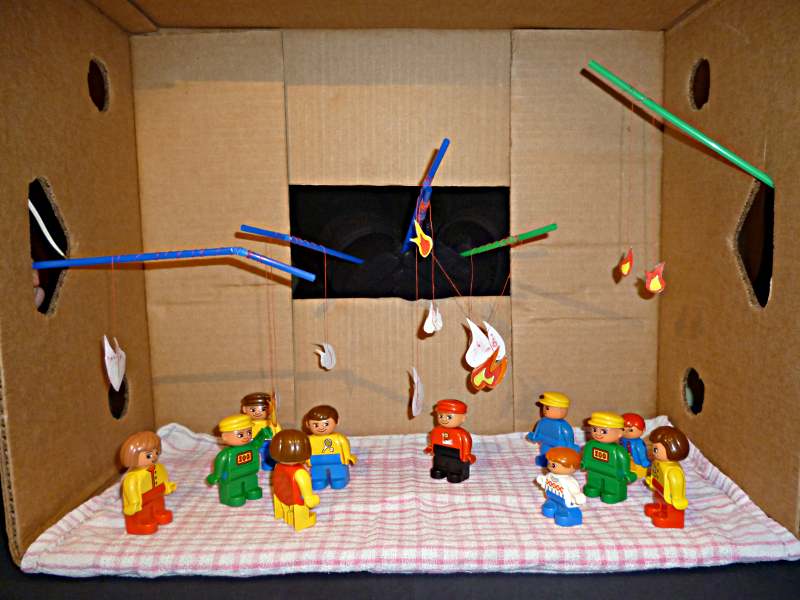 Pass the straws through the holes in the side of the box so the flames are hanging down inside the room. Encourage the children to make the flames dart around and rest on the figures. Tell the story using the toy figures. At the appropriate point make the flames dart around encouraging the children to add their own sound effects. Father God, we imagine the noise of the wind rushing through the house where the disciples were praying. We picture the flame-shapes darting across the room and heading for each of the disciples. 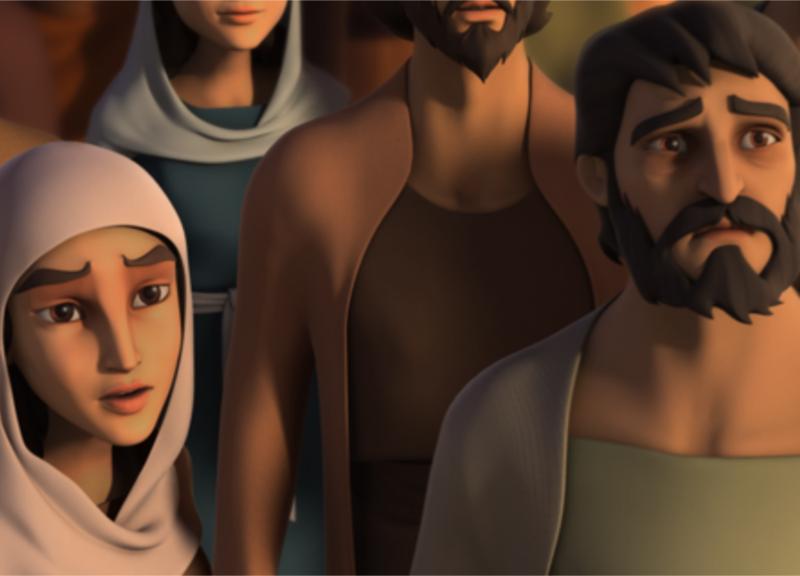 Father we imagine the disciples' joy as they realised the gift they had been waiting for had arrived. Father God, we thank You that when Jesus went up, the Holy Spirit came down. Father thank You that You did not leave the disciples on their own but sent Your Spirit to be with them in a powerful and amazing way. Thank you that in the same way Your Holy Spirit was with the disciples He can be with us today. Thank You that just as the disciples received the Spirit’s gifts and were changed from the inside out we too can be changed by the power of the Holy Spirit as we learn and grow to live the way You created us to live. Amen.